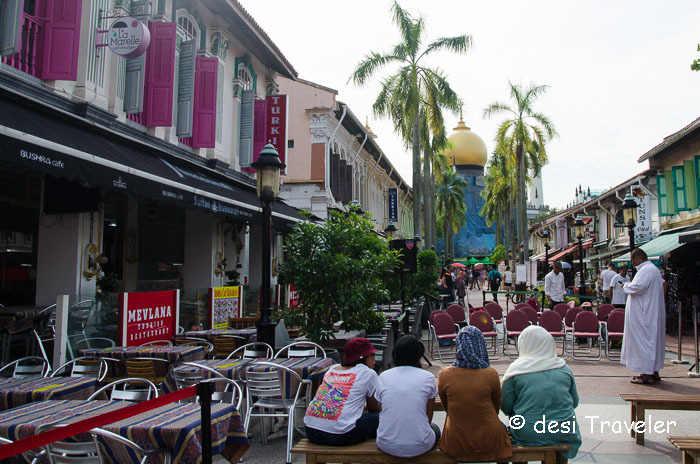 As I mentioned in my earlier post, Singapore is one of the few culturally and religiously diverse countries that are peaceful and safe for travelers and locals alike. When I was in Singapore the world was observing the holy month of Ramadan or Ramazan as we call it in the Indian subcontinent. 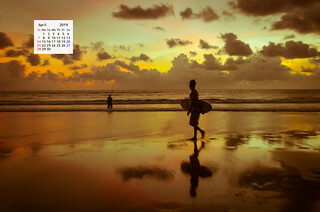 Those of you who are familiar with Islam will know that Ramadan is the holy month of fasting and praying for purification of body mind and soul. Devout Muslims fast during the month and only after prayers in the evening they will have a meal. 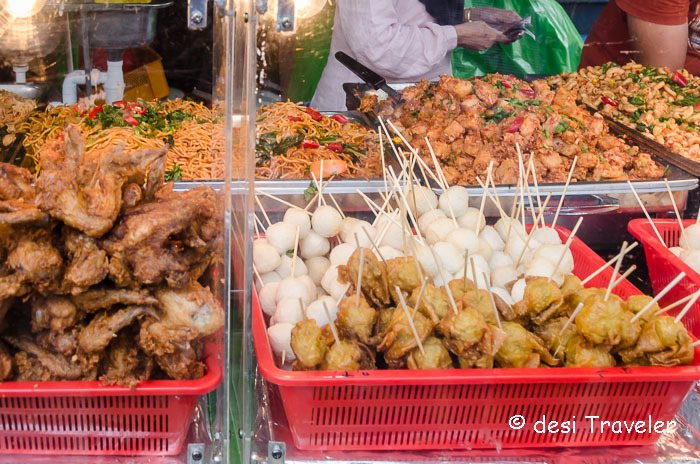 Around the world, Bazaars and markets have special food markets for those who are fasting so that they can have a good meal without bothering to prepare it themselves. 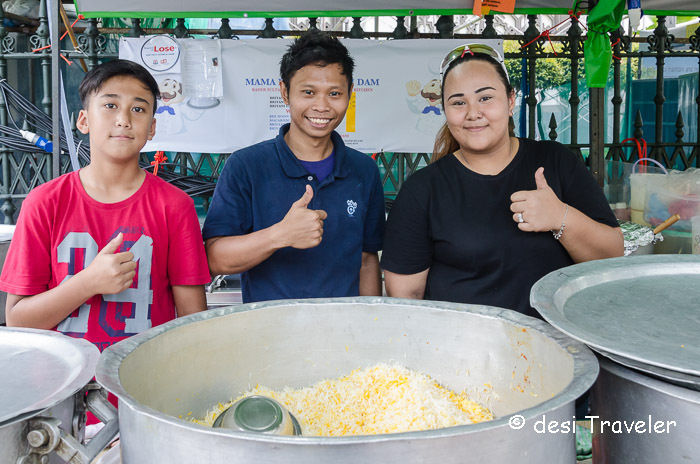 I visited the Ramadan Food Festival and sold outside the Masjid Sultan, one of the most famous and oldest mosques in Singapore. 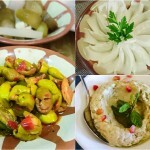 The Ramadan Food festival is dedicated to food cherished during the holy month after fasting. 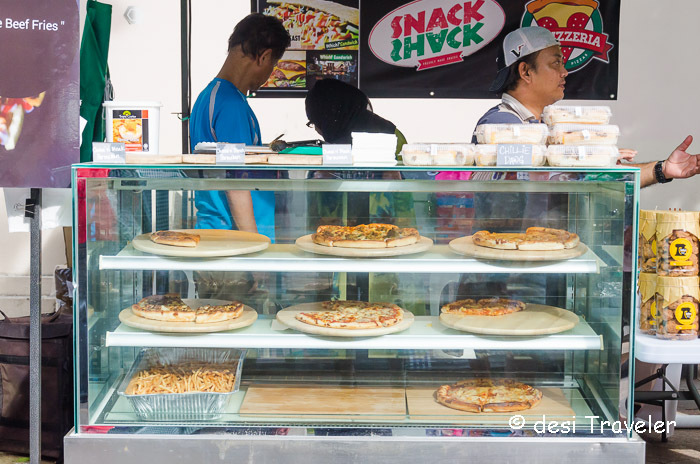 And vendors set up shop making dishes from most of South Asia varying from Indonesia, China, Malasia, India and even Middle-East. But let us go to Singapore Ramadan / Ramazan market outside the Masjid Sultan and let me take you through the wonderful sound and smells of food around the mosque where not only devout Muslims but also tourists and travelers (some people go crazy when I club them) were also enjoying the food festival with delicacies from Indonesia, Malaysia, India and Arab countries. 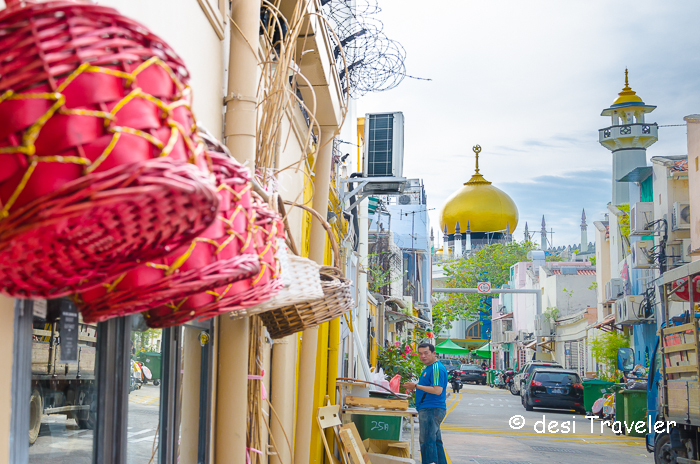 We started our visit from Haji lane within walking distance to the Masjid Sultan. 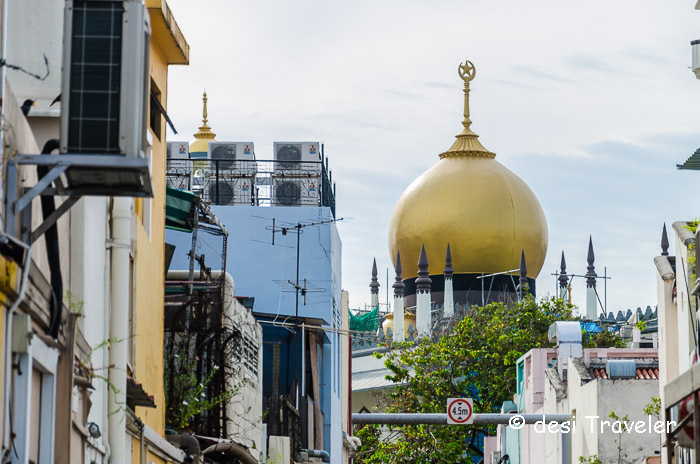 As we saw the first glimpse of the mosque above the heritage Shop homes around it the golden dome was shining in the evening sky and was visible from a distance. 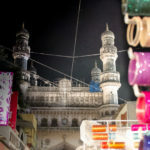 The road in front of the mosque was converted into an open-air food court with vendors waiting for customers to arrive once they have broken their fast. They did not have to wait for long for soon the street was chock block with people and it was tough to even walk without bumping into somebody. One of the first things I noticed was this stall selling fried chicken and some rice, the chicken looked like our Chicken Pakodas and could be a long-lost cousin. The second thing I notice was that the stall was managed by girls in the pink head scarf and the one of the girls was in western clothes. 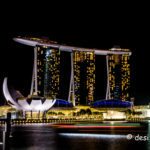 As Singapore is a very modern cosmopolitan society there is no restriction on wearing clothes and women work in all kind of jobs from Pilots to Engineers to Doctors to hotels and restaurants. 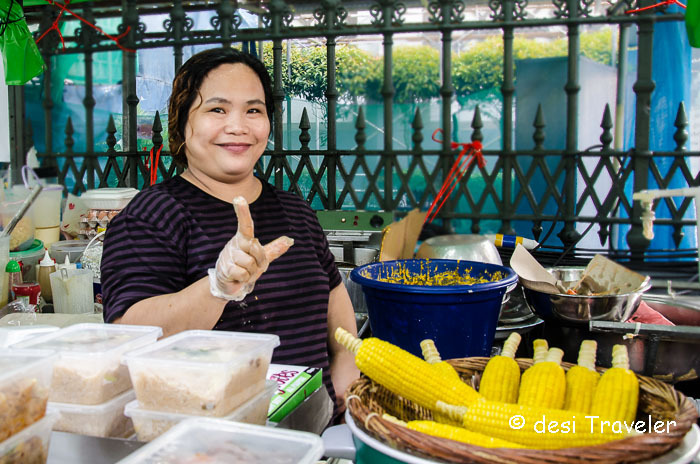 So it was not surprising to see lots of girls managing food stalls in the Ramadan food festival in Singapore. 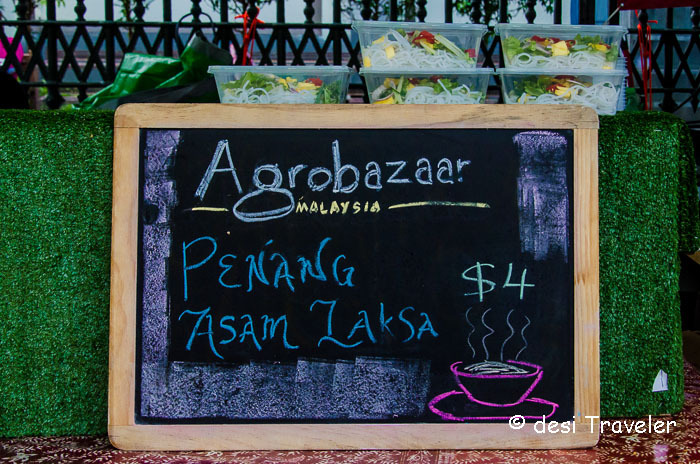 My next food stall was this AgroBazar from Malaysia and I was happy to see that they are selling hot Assam Laksa and there was cup made by chalk to show the piping hot tea. So I ordered one hot Assam team and learned a big lesson about Malaysian Food in Singapore. Well, it was a lesson for me to not take things for granted, because I was told they are not selling Assam Tea but Asam Laksa a Malaysian delicacy that is a hot soup with fish and herbs none of them grown in Assam. I had a good laugh with the girl at the counter and left for the next stall but not before I clicked this picture of Penang Asam Laksa Singapore # 4 for a piping hot cup. 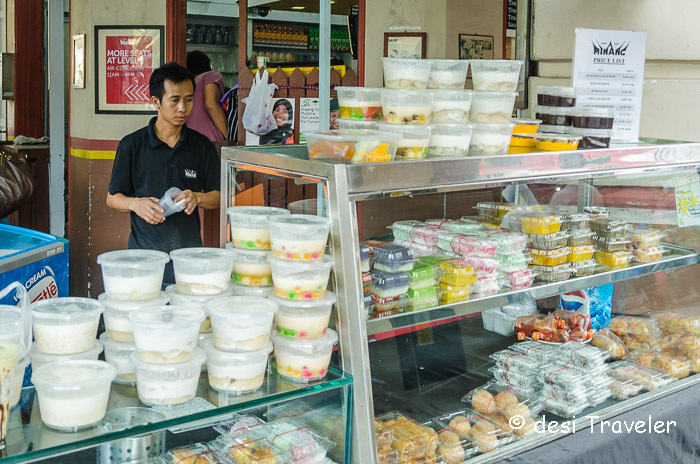 The next guy was selling pizza with all kind of toppings and then I found a counter selling a steamed rice cake that looked very similar to our own Idly. A lot of the street food here was barbecued and you could find all kind of meats being skewered around you, and the anticipation on the customers for the moment when the vendor will hand over their order was worth watching. 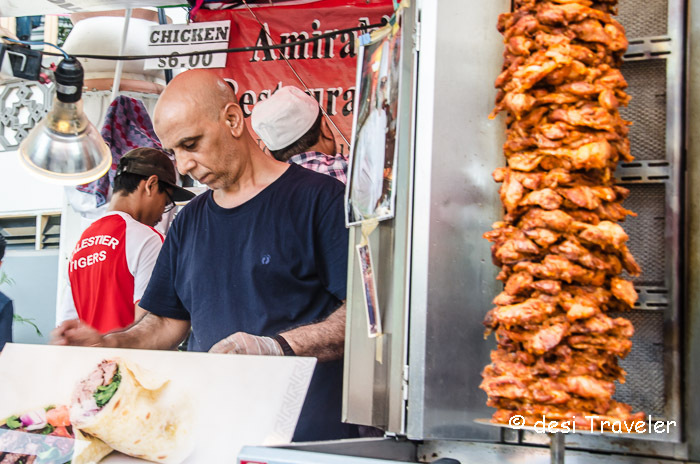 One of my favorite things to watch in a street food market is to watch a Doner Kebab slowly rotate on the skewer and see the flames slowly cook the meat and then the large knife cut slices of now tender meat. Even if you are a vegetarian like me you should watch the spectacle to see the process of making a Doner Kebab right in front of your eyes. 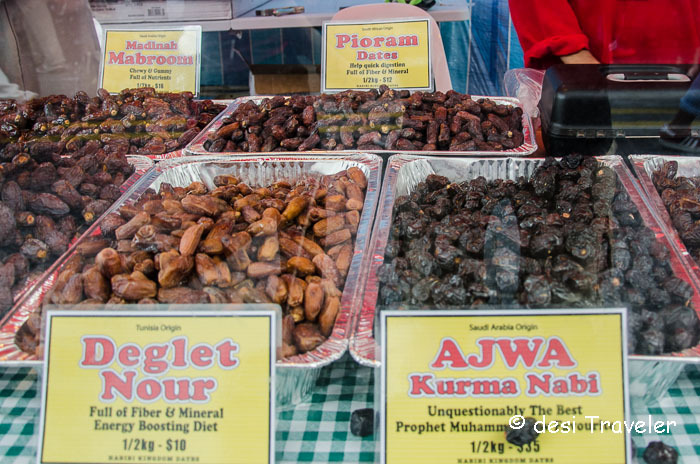 Then I saw the delicious date fruits from various parts of the world. Dates are highly sought after to breakfast during Ramazan and the Ramadan Food Festival in Singapore had more verities on offer than I could count. Dates are full of driving energy, sugars, minerals and fibers that are all needed by a fasting body and in Arab countries they grow in abundance so are now exported around the world. The next delicacy that grabbed my attention was Otak 2, and I wondered what this 2 for is, and it was good that I asked the question. 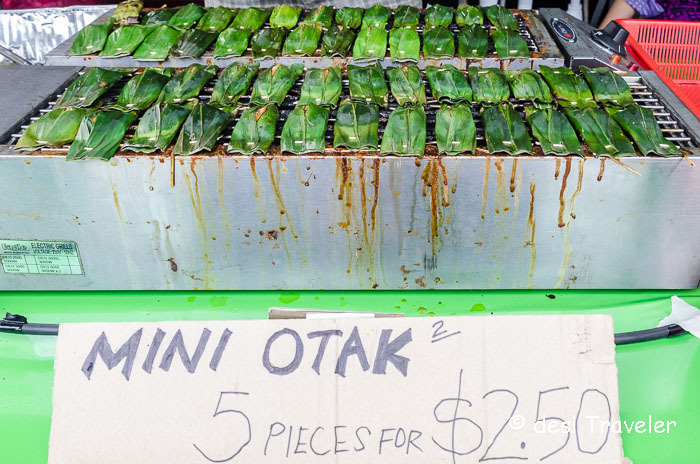 You see the confusion was the stall said Mini Otak 2, then the price was 5 pieces for Singapore $ 2.5 so I was wondering what is the significance of 2 after Otak. 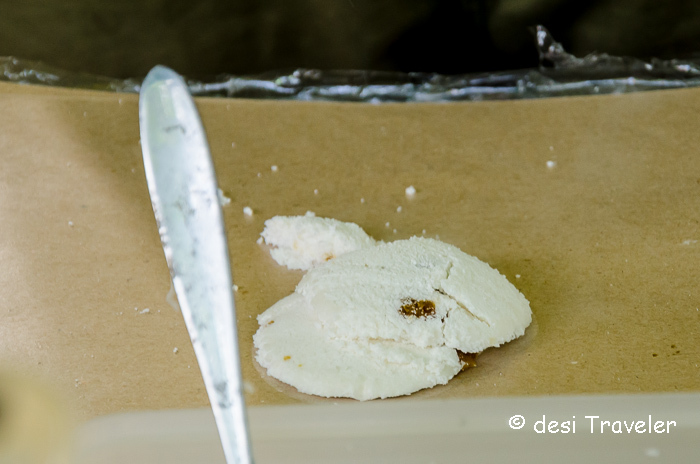 And it is here ladies and gentlemen and foodies of the world desi Traveler learned another valuable lesson as a student of global gastronomy with a focus on street foods served during festivals around the world. 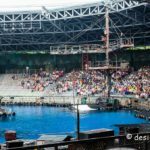 And here is the lesson that I learned as a passionate student on global gastronomy with a focus on street food served during festivals around the world. This rice and fish cake with some tapioca starch wrapped and cooked in tender green banana leaves is called Otak Otak and not just Otak because my guess is it is so good that you must have it twice, hence Otak Otak and our super smart street vendor of Otak Otak in the Ramadan Food festival in Singapore has replaced the second Otak with 2 hence the name Otak 2. I hope you too have liked this valuable lesson that I learned as a passionate student of global gastronomy, with a focus on street foods served during festivals around the world. Recommended reading: This series by Journalist and author Shobha Narayan: Sacred Food and also here about the Sacred food served at Ajmer Sharif Dargah. IF you want you can also read my post about Ajmer Sharif Dargah, though. 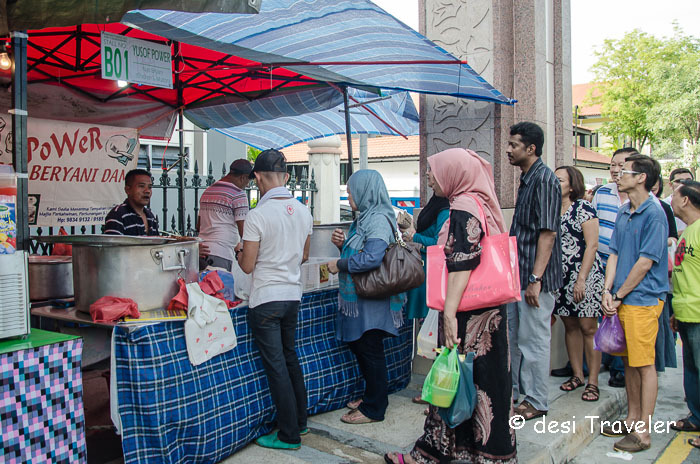 But let us move forward, let me take you to the pièce de résistance of the Ramadan Food Festival outside Masjid Sultan was Biryani. Yes, our very own Biryani though some claim it has central Asian / Arabic origin. But for me Biryani is shudh 100 % desi and if you can get a copy of the book by Pratibha Karan for some really authentic Royal Biryanis that only the Khandani nobles of Hyderabad were served during the Nizam Era. But I digress as usual and come back to the Ramadan food in Singapore. 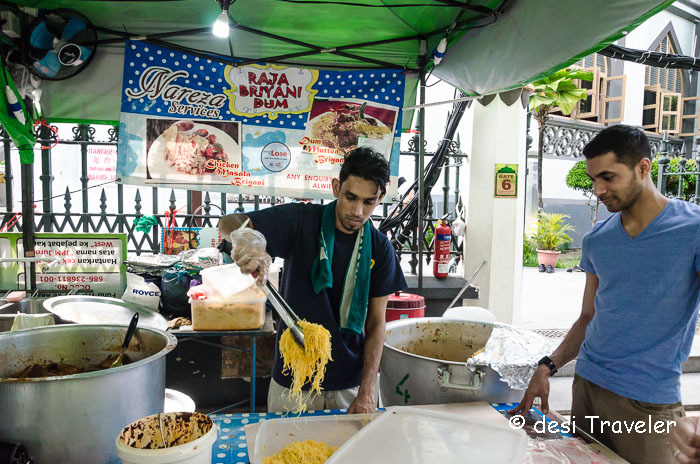 I found more than 5 stalls that were selling Biryani in one form or another and each of these Biryani stalls had a long queue in front of them, making Biryani by far the most popular food item in Singapore during Ramadan. Don’t believe me check these pictures below. Here is Raja Biryani Dum, ( though in the picture he is packing noodles) , then we have Mama Biryani Dam, here I am not sure if this Mama is the uncle as in mother’s brother wala mama or mother in English wala mama. But the most popular Biryani counter at the Ramadan Food Festival in Singapore , the real Raja and big daddy of Biryani sellers in Singapore was Yosof Power Biryani Dam, there must be something really good in this Biryani served by Mr. Power that there was a line of Biryani hopefuls literally going to the side lane as the space in front of the counter was already occupied. As the space in front of the crowded counter got cramped, the disciplined Singaporeans just continued the line to the side lane and patiently waited for their turn for the Internationally World Famous in Singapore Yosof Power Biryani Dam. We ended the walk at the desserts counter at the end of the street, what a sweet ending of the food walk at the Ramadan Food Festival in Singapore. So what do you say, folks ? 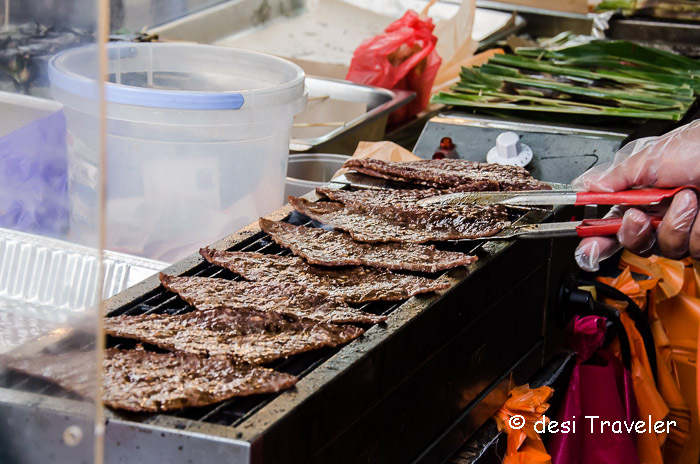 Which one of these dishes you have tried in Singapore or elsewhere, what is your most cherished food served during festivals around the world ? 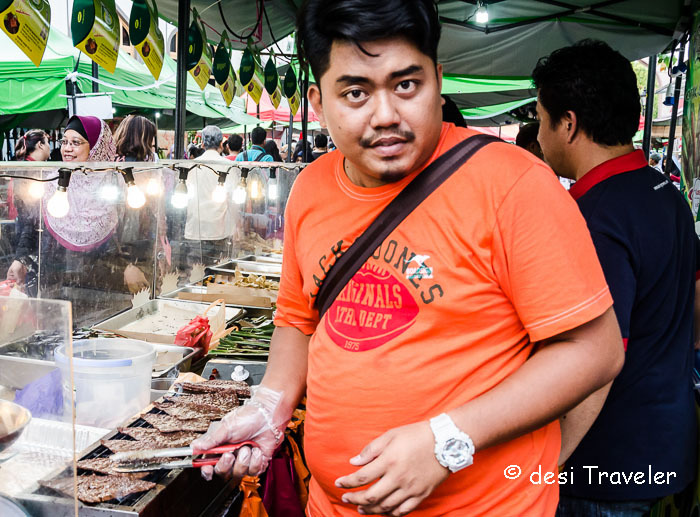 How to reach Ramadan Food Festival in Singapore: The main festival Bazaar for Ramadan Food is held near the Masjid Sultan in Singapore. The Nearest MRT Station to the Masjid Sultan is Bugis where both Green and Blue line come. 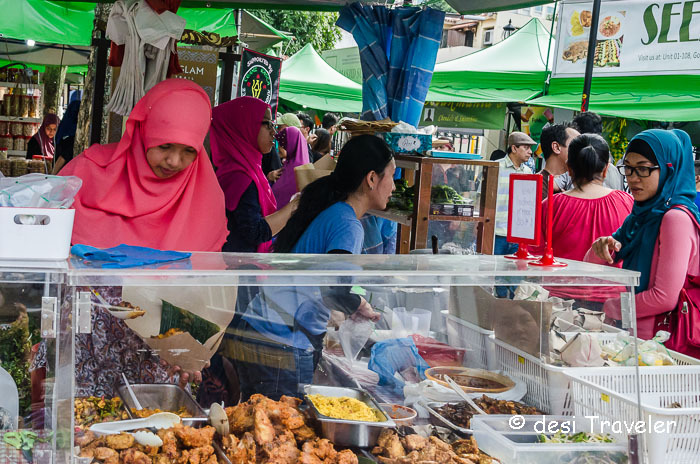 You can also follow this Google Map to the Market near Masjid Sultan for the Ramadan Food Festival, only about 5 minute walk from the Bugis MRT station. The first photo is like a painting. 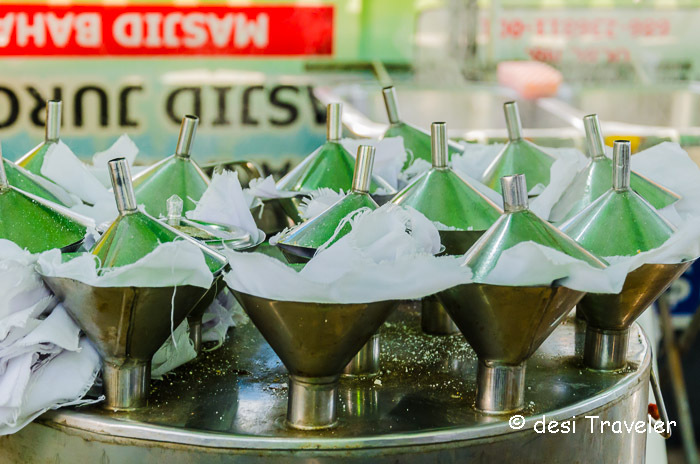 A yummy photo-walk, desi traveller! Thank god for the corn-on-the-cob, eh? 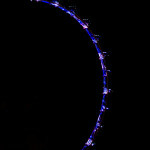 wow, awesome! 🙂 what a treat!! Mouth watering post Prasad. I liked the Otak 2 story.